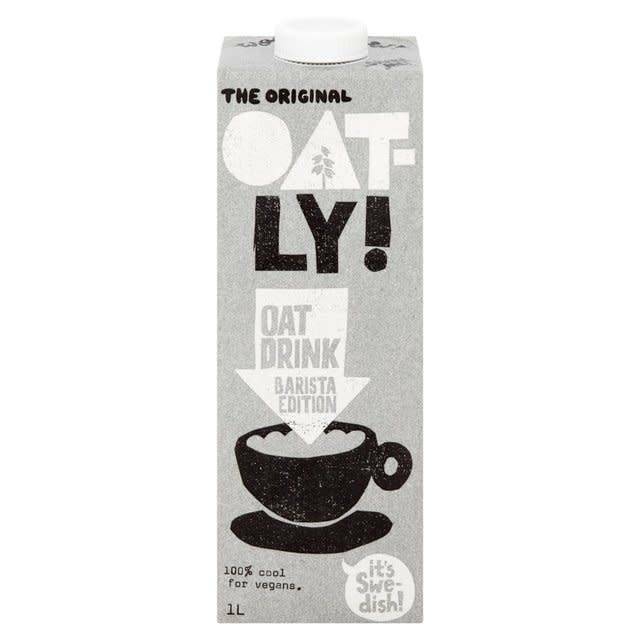 Oatly oat drinks are the natural choice for people who want to eat more healthily. Both Oatly the company and products are the result of many years of committed research work. They started making oat drinks to give everyone the chance to try something new which tastes good and which helps them to feel a little better. Oats are just right for this as the balance between carbohydrates, protein and fat suits all of us really well. And they also provide good nutrition to people who can’t tolerate dairy, soya or rice milk and milk products. Oatly’s role is simply to develop, produce and sell foods that make it a little easier for everyone to eat healthily. So you are a barista? Perfect. This carton of barista edition oat drink is based on liquid oats which means it isn’t overly sweet or excessively heavy. What it is, is fully foamable putting you in total control over the density and performance of your foam so you can showcase your latte art skills.